On the heals of a memorable Special Olympics World Games Abu Dhabi, it’s time to reflect on what the long-term impact of this event will be. Will there be a genuine, lasting legacy or simply warm memories and inspiring stories of the determined athletes? These games were a true testament to celebrating diversity, with more than 7,500 athletes from more than 190 nations competing. Those who attended and followed the games witnessed spectacular performances and stories of personal determination. At the same time, the games provided a tough reminder of the real-world challenges of building a truly inclusive economy, particularly when you read about 93 per cent of disabled Emiratis being unemployed. While there will be a much-needed push by the government to address that statistic, cultural change in the workplace is needed to translate lowering unemployment figures to a lasting legacy that benefits both individuals and the broader UAE economy. For if there is one major takeaway our business leaders can learn from the Special Olympics, it’s this: Diversity without Inclusion is simply not enough. Even more so, it’s bad business. Diversity definitely does matter, and it provides a great starting point. It shows the willingness of a company to employ people representing a range of differences that make each individual different from each other, some of which are visible and some invisible. Companies promote workplace diversity as part of reputation building. They cite the percentage of women in their workforce, how many nationalities are represented, how many languages their employees speak. The problem comes when organisations see diversity as the end game. If the numbers say you’ve achieved diversity, mission accomplished. Or is it? The reality is diversity statistics are too often just numbers in an annual report. What they don’t show is what companies are doing to make that workforce mix work, both for the benefit of the individual and to achieve a measurable positive impact for the company. That’s where inclusion comes into the mix: “behavioural inclusion” encompassing the mindset, decisions, actions and the culture of belonging fostered within an organisation. And “structural inclusion”, or the ability to create equitable and bias-free structures, processes and practices. Inclusion isn’t as clear cut and easy to measure. Often, it’s what you don’t see in an organisation — but your employees definitely feel — that defines whether diversity is being effectively translated to an open, inclusive culture. A diverse workplace that lacks inclusion can create powerful headwinds that prevent a strong employee mix from delivering tangible returns. Talented individuals know when they feel like they are running against the wind. Forces caused by being different from the dominant group can affect people’s effort, energy, emotions and progress. Whether you are talking about people of determination, women in the workplace or people of different ethnicities, the headwinds are similar, and they are global. Organizations have their own long-standing traditions and unwritten rules. Individual leaders from the boardroom to middle management make assumptions based on stereotypes, culture and gender norms, as well as too often have outright bias. Power networks and groups form that exclude individuals for numerous reasons. In some cases, it’s about poor individual leadership. In others, it’s inculcated over a number of years into a corporate culture that, while never formally articulated, is perceived by those in and out of the power circle, and come with clear rewards and punishments. That’s where powerful headwinds stifle internal debate, discourage individual creativity and innovation, stamp out ambition, and ultimately drive precious, much-needed talent out of an organisation and into the arms of the competition. Inclusive companies demonstrate a greater ability to hire, advance and retain top talent that are more highly motivated to deliver increased productivity. Companies effectively matching diversity with inclusion score high on employee innovation and are 75 per cent more likely to see ideas become productised than those companies scoring low in inclusion indexes. Companies with the ability to leverage diverse and inclusive teams demonstrate ability to make better decisions to solve complex tasks 87 per cent of the time. 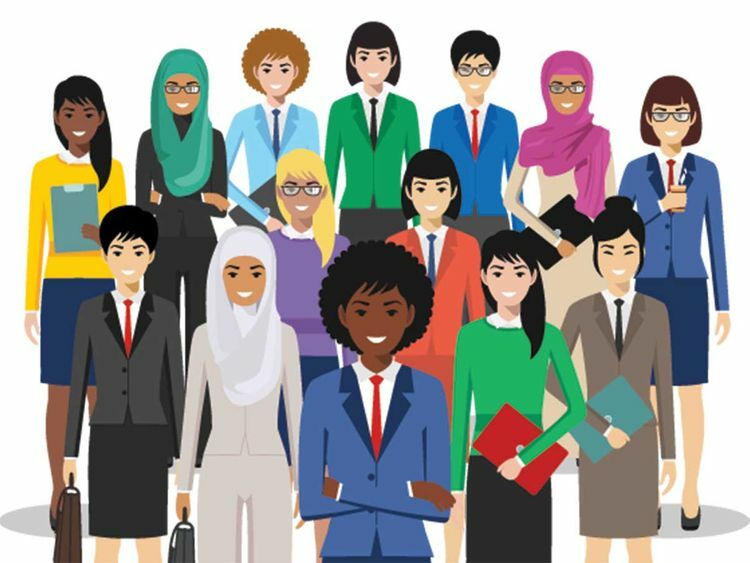 When the annual report comes out, it shows in bottom-line performance, with companies scoring high in both diversity and inclusion 31 per cent more likely to have financial returns above the industry average. The benefits and positive impacts are clearly documented and should provide more than sufficient rationale to spur business leaders to action. Action starts with a willingness to openly and actively identify potential hot spots. Leaders can proactively identify environments, teams and people who stifle openness and individual contributions to innovation and problem solving. And work from within to drive broad cultural change while celebrating and rewarding individual performance and achievement. The UAE Ministry of Community Development has committed to lasting societal change as the legacy of the Special Olympics World Games. UAE leaders have pledged to enact 31 new policies, legislation and initiatives impacting education, culture, health and spreading international awareness of the mission to better empower people with disabilities and ensure they feel an integral part of society. Our business leaders need to make an equal commitment. They need to show far greater determination moving inclusion from the athletic fields to the workforce, as well as from the cubicles and store floors up to the executive suites and boardrooms. This is not just in the best interests of society. It’s in the best interests of long-term business success for companies to maximise the full power of the highly diverse UAE talent pool to be competitive — today and into the future. Suellen Tomlinson is Senior Client Partner at Korn Ferry.